The Australian foreign ministry said in a statement that china will prosecute 3 of crown casino employees who were detained by Chinese police for illegal gaming advertising in mainland china. The foreign ministry confirmed the news on Tuesday that they have got formal arrest notice from china. The three employees were detained by Chinese police last month because according to police, they were luring wealthy Chinese gamblers to its Australian casinos. However china has not said anything about what charges are being slapped on detained Australian casino employees. 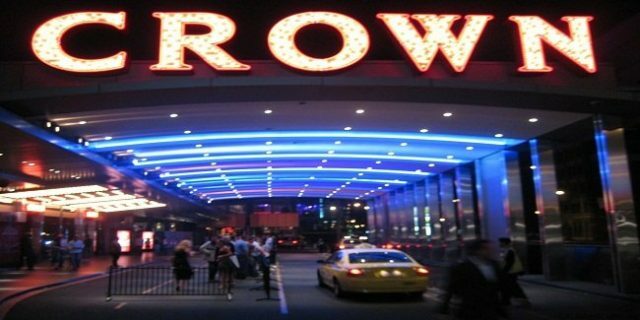 You should remember that 18 employees of Australian Crown Resort Casino were detained by Chinese police including Jason O’Connor, the head of Crown’s VIP International team. The staffs were arrested on last month’s raids across China on Oct. 13 and 14. Julie Bishop, the Australian Foreign Minister told reporters on Wednesday that consular and staffs have met these detained gaming executives and they all are in good health. We were able to convey messages from their families and they are all represented by lawyers, Bishop said. She also made it clear that it is a difficult situation for us but we will do whatever is required to support our people in china, because Australia and china are working together since long to enhance two way trade and investment. Casino gambling is illegal in mainland china but it is legal in one of Chinese city i.e. Macau. Corruption is a big issue in china and so Chinese premiere Xi Jinping is making sure to apply an anti-corruption agenda in gambling as well. Hundreds of people have been arrested by a crackdown on illegal gaming by Chinese police in mainland china. Many of them are foreigners and many are locals. If you are an Australian and want to check some real good Australian casino sites then you can pick your site from here. Either way, if you are from United States of America and want to join legal gaming site in United States then you can admire USA online Casinos for the same.